Hi! 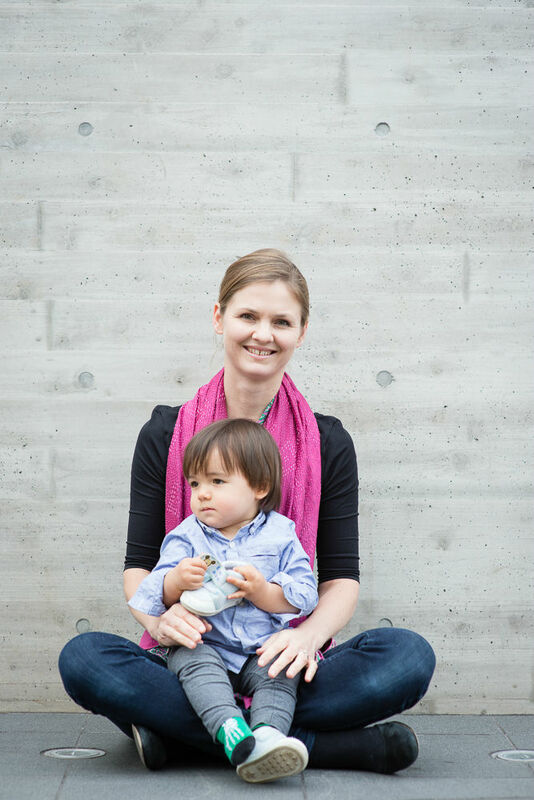 My name is Kate Neath, founder of Tokyo Urban Baby. I have been living in Japan for over 10 years, and I know how hard it can be to travel here and find your way around Tokyo. With the ever-present language barrier, combined with the unique Japanese culture, etiquette, and customs, I understand it can feel quite daunting. Throw a newborn baby and children into the mix, and it can feel impossible! That’s why I created Tokyo Urban Baby. Tokyo is actually one of the most baby-friendly cities in the world. And it is my goal to help you discover all it has to offer. I know how it feels to be pregnant and raise a baby in this busy city. 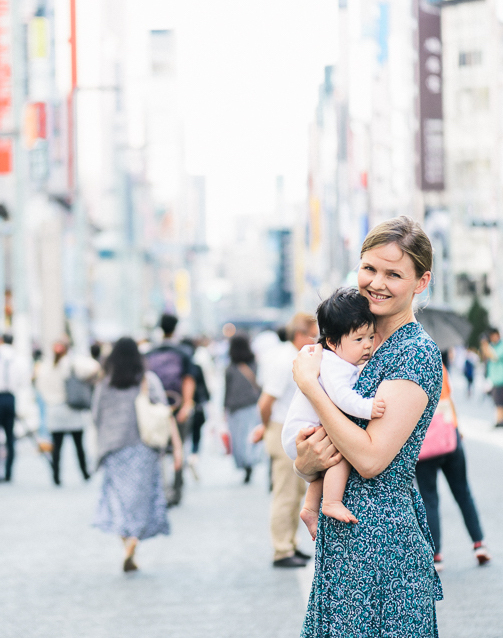 I have been through it all – trying to carry a pram down the stairs at the train station, trying to find a baby nursing room, wondering where all the baby-friendly cafes are in Tokyo. The list is endless! 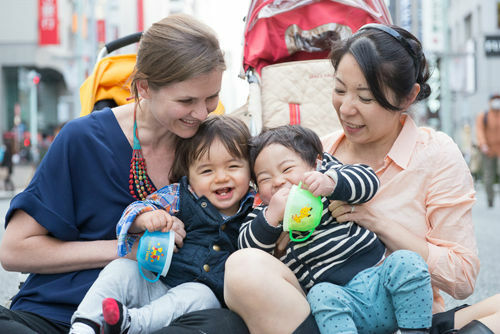 Tokyo Urban Baby is all about helping you, whether you are living in Japan or visiting here for a holiday, to navigate and enjoy Tokyo with your baby with the least stress and the most fun! How did I start Tokyo Urban Baby? I first created Tokyo Urban Baby in January 2012. My baby was 3 months old and I was keen to get out of my apartment every day, at least for a few hours to get some fresh air and some exercise. At first I didn’t know where to go – where do I change my baby’s nappy? Where can I breastfeed? My first outing was a disaster – I was perched on the edge of a stool in Sega Fredo coffee shop in Naka-Meguro, trying to breastfeed a suddenly crying and hungry baby, and then trying to change a pooy nappy on a small bench next to the sink in the cafe toilet! After that experience, I started to research online in Japanese and do some exploring around the city, and gradually my list and knowledge of all the hidden baby-friendly places grew. Gradually word spread among my friends about my new blog, and then I started to receive emails and questions from overseas. Before I knew it, Tokyo Urban Baby had grown to over 20,000 pageviews per month with readers from Japan, America, UK, Australia, Singapore and more! After 6 months I was eager to expand Tokyo Urban Baby and teamed up with my friend and respected professional IT expert, Tomoko Momose, to start an online shop and develop Tokyo Urban Baby into a bilingual online resource. We also developed events for all our readers in Tokyo with guest speakers and giveaway prizes. Below is one of my favourites. In July 2013 I was contacted by NHK World, the international broadcasting service of Japan’s public TV broadcaster NHK, to be a reporter for their program Tokyo Eye. NHK World had come across my videos and tutorials on Tokyo Urban Baby, and invited me to join the Tokyo Eye team as a TV reporter to show overseas visitors all the great sightseeing spots in Tokyo. See photos of the show here! You can see the Tokyo Eye video here on youtube! 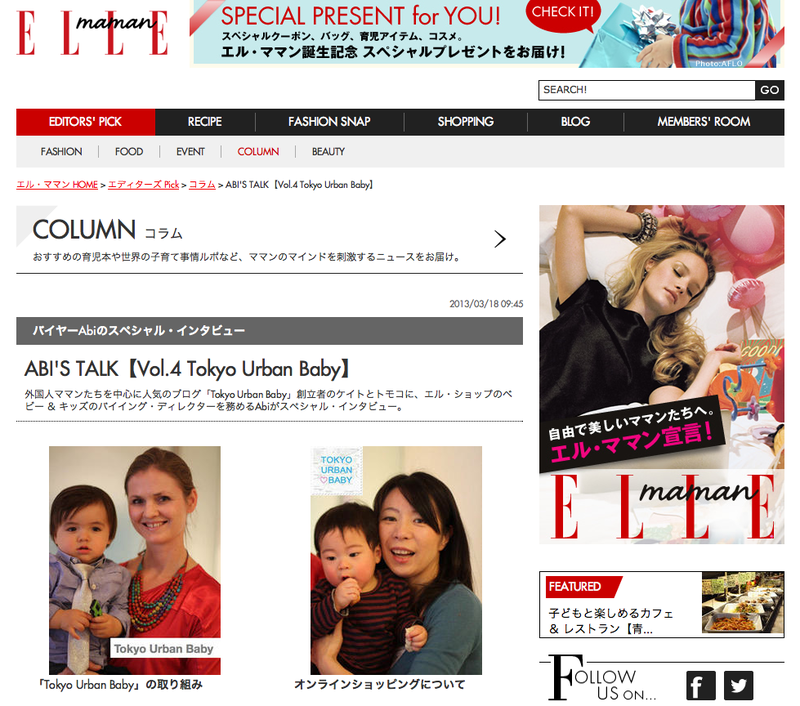 Tokyo Urban Baby has also been featured in ELLE Maman magazine in Japan! Featured in ELLE Maman magazine! Tokyo Urban Baby is listed in the Japan Lonely Planet guide as the go-to resource for parents traveling to Tokyo with small children. Thank you Lonely Planet guide! SO exciting! I am so thrilled with how Tokyo Urban Baby has grown and all the exciting opportunities it has created. And I LOVE receiving all the emails and questions from readers of Tokyo Urban Baby, and helping you all with your travels and living in Japan with your babies. I look forward to continuing to share all my favourite baby-friendly places in Tokyo with you all! Want to know how to make a business and life that you love? I just came across your blog( sigh! Why didn’t I earlier). It’s heaps of useful info I’d been longing for. Everything n anything a non Japanese mum requires in Japan. Kudos to u for the effort! Thank you Ena! It’s wonderful to hear your feedback! I just came across your blog and so happy to find it! We moved to Tokyo few months back and very slowly settling in…Your blog is beautiful and helpful for other mums like me who spend hours researching before the big move!! Thanks Ritu for your message! Hope you are enjoying Tokyo:)! I’m on a university faculty in the US and I spend a lot of time in Japan doing research. I’ll be in Tokyo with my daughter– my first time to Japan with a baby. I’m exited, anxious and afraid. I’m glad I found your blog–actually I was introduced to it– before the move! I think this is going to help me navigate Tokyo for six months with my daughter who will be a year old. Hi Petrice, Thank you for your message. 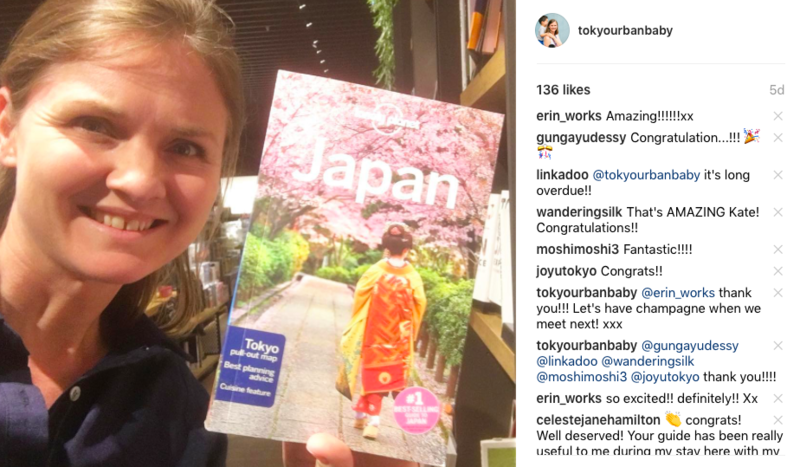 I’m so glad Tokyo Urban Baby is helping you with your trip to Tokyo with your daughter! Hope you have a wonderful time! Hi Kate & Momoko, Thank you so much for doing what you do. My 8 week old has been hospitalized for the past week with whooping cough （百日咳）, and during that time we were afraid my wife would develop mastitis　（乳腺）for a SECOND time. Then we googled Oketani Method. She didn’t think we would find anything, let alone in English, but we found your youtube video! She went, and it was absolutely amazing. Thank you so much. I hope your wife and baby are okay:(!! I remember whooping cough spreading quickly around Australia earlier last year – I had been visiting my family in Sydney with my son (he was only 4 months old at the time) and I was really worried he would get it. I really hope your baby is okay…. Thank you so much for your message about the Oketani video. I’m so glad it helped! The Oketani massage is really amazing. Thank you Kate for this wonderful website! We moved to Tokyo 2 months ago and I have used your website countless times already! It has been a HUGE help. We have a 9-month old baby. Thank you, thank you!!! Thanks so much for your message Alexis! So glad Tokyo Urban Baby is helping you and your baby settle into Tokyo:))!! Congrats for the blog and the online shop too. Hi Shweta, Thanks for your message! Hi Kate, Thank you so much for a lot of information! I will take our baby ( now 5 months old ) to see my family in Tokyo this summer and I am excited! We’ve not gone back to Japan in 5 years so that we both work full time and it’s hard to take a long vacation….but since my son was born, it’s even busier and I have never been sitting and relaxing until I actually go to bed! He started waking up a couple of times at night because he’s now growing a lot…raising a kid is tough, but it’s really worth it. I love motherhood! I love to see my son’s smile when I come home from work every day. Anyway, I want to take him a lot of baby-friendly places that you recommend. Also, it’s helpful for us to learn how to raise my son as bilingual kid. It’s the hardest part because there is no one who speak Japanese around me so I speak English all the time and my husband cannot speak Japanese…..so I want to give my son an opportunity to learn Japanese from other kids while we are in Tokyo. You work full time now, I know it’s hard, but we are not the only one. BTW, I am glad to know your website to have our trip with a baby to Japan a lot of fun! I told my Japanese friend that expecting about your website and she’s eager to look for it. Tonight is our last night and I really loved how Kyoto and Tokyo, for me both are baby and stroller friendly….even sometimes I’m using Ergo baby. Can’t wait to visit Japan again, so I could bring my LO to the places that you recommend. I came across your video on YouTube while I was searching for tips on traveling with baby/toddler. Thanks for all your great tips and your children are so adorable. I’m currently living in the Bay Area in US but my husband and I lived in Tokyo for two years back in 2005. Our boy/girl twins are 9 months old and they are half Chinese (Hong Kong) and half American. I would like to see if you are interested to share some of your experience on raising bilingual children. Will you send your children to local Japanese school or international school ? Do you have difficulty in getting your children to speak and learn English or Japanese? I would love to get some of your insight and experience. What a great resource in English for all of us with kids in this area! Thanks so much for what you do. Where have you been for the last 3 months since I found out I have to move to Tokyo with a 7 months old baby in May! Thank you for existing. That’s all. Hi Kate, I’m going on a 14 days vacation in Japan(Kyoto, Osaka, Tokyo), I’m bringing my 2,5 years old twin boys. I’ve been arguing with my wife because she insist on bringing our side-by-side strollers, while I think it would be a hassle to use it especially in a crowded city like Tokyo. What do you reckon? Have you seen my latest interview with Stefan about traveling with twins? They mentioned it is fine to travel on the trains with a double stroller, however they had trouble catching the plane as the airport wouldn’t let them take the double stroller to the gate before boarding and on arrival. So in the end, they purchased a double stroller that could be separated into two separate strollers. So they could have separate strollers at the airport, and then join the stroller together as a double for traveling around Tokyo. There are many Japanese parents who also get around Tokyo with twins in a double stroller. I asked one of the mothers one day, and she said it is no problem as the double stroller can fit through the wide ticket gate at the station. I hope this helps! I think the biggest decision is how to cope at the airport. And also note that if you will be catching the shinkansen, you will need to fold up the stroller to get on the shinkansen as the doors are narrow. Best wishes with the decision! I don’t know how I could’ve missed your interview with Stefan(was very late at night when I found your website ). Much appreciate all the info and it does helps, we decided to bring the stroller and rough it up at the airport and shinkansen. I’m so happy I found your site. My husband and I have lived in Okinawa for four years and are taking our first trip to mainland with our five year old and one year old girls. You’ve answered so many questions! I’m excited to explore the city! We will be visiting Tokyo, Kamakura, and Kyoto! Myself Divya, I leave in Tsurumi near to Kawasaki could you please help me to buy maternity clothes currently I am 17 weeks feeling difficult to wear my old clothes. I can’t find the good shop near me.